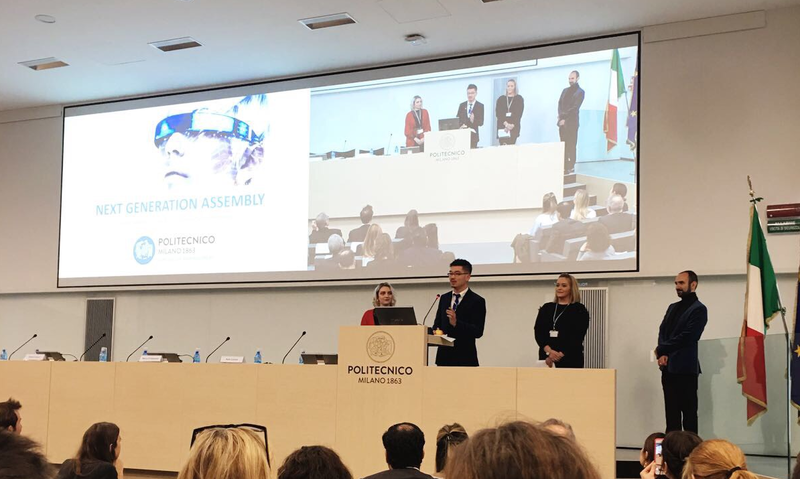 On the 27th-28th November, thirteen of GCU London’s MSc International Fashion Marketing students attended The Next Generation Assembly workshop at Politechnico di Milano. The workshop was organised by Glasgow Caledonian Univeristy, London College of Fashion and Politechnico di Milano. The event is aimed at Master level students and focuses on Luxury Retail, Operations and Supply Chain Management. During the two day workshop, students were placed into groups and encouraged to develop business models within a professional environment. Our students integrated sustainability/innovation/omni-channel retail principles into their model in order to present a corporate plan where logistics and marketing strategies have been applied strategically. 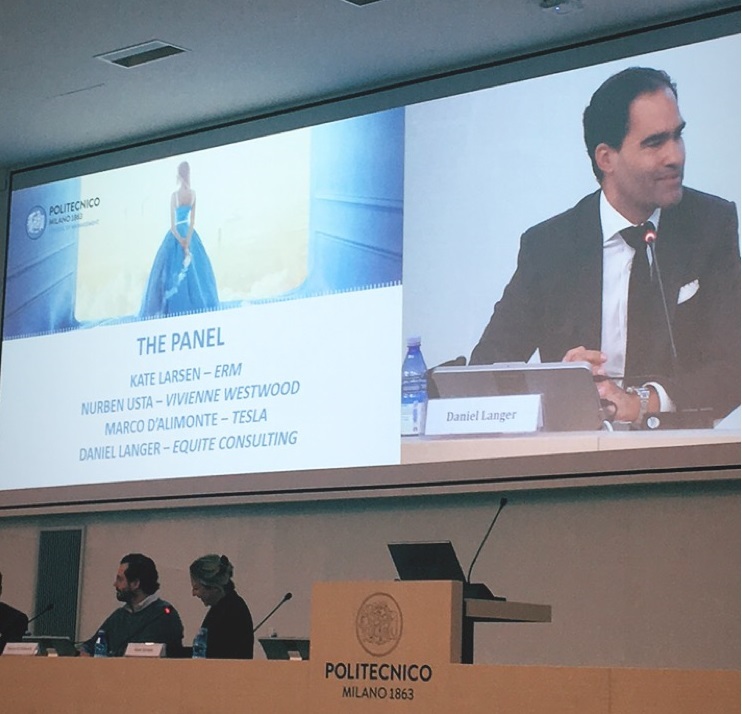 The panel was made up of leading industry professionals and consisted of Kate Larsen (ERM), Nurben Usta (Vivienne Westwood), Marco D’Alimonte (Tesla) and Daniel Langer (Equite Consulting). 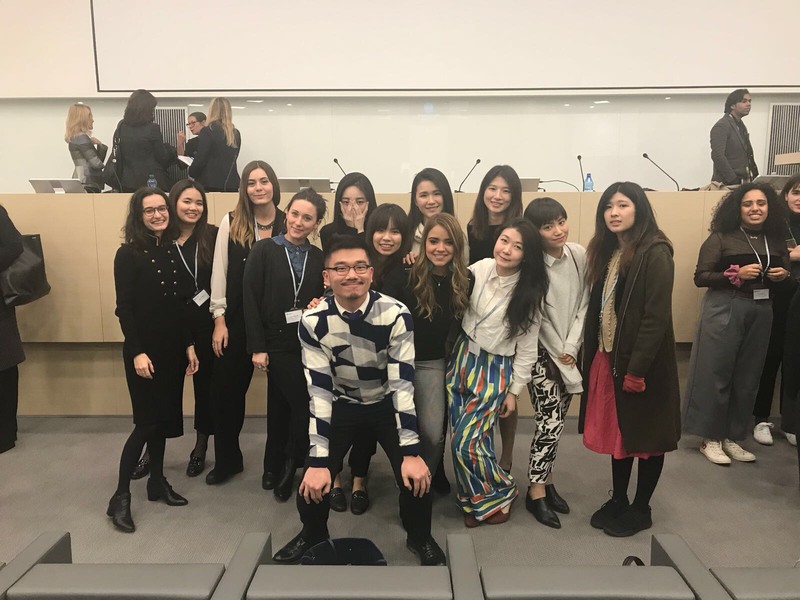 GCU London would like to thank Antoinette Fionda- Douglas (International Fashion Marketing Programme Leader at GCU Glasgow campus) for organising this event.